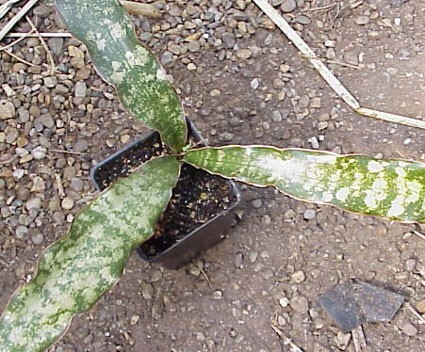 Known horticulturally as S. metallica; or as the "Star Sansevieria." 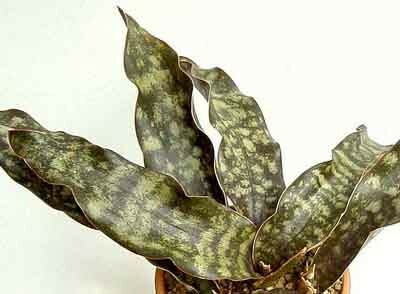 Wide flattened rosette of thick wide stiftly undulant leaves richly mottled pale green on black-emerald; astonishing cone-shaped inflorescence of greenish-white scented blossoms (we say "scented"; we do not say "fragrant" as do some books and catalogues). 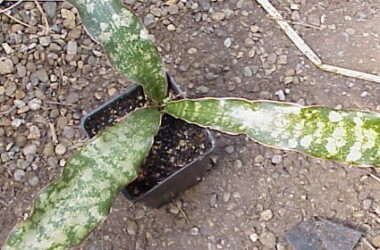 Zanzibar native. (Actually they may indeed smell of greenish-white.) 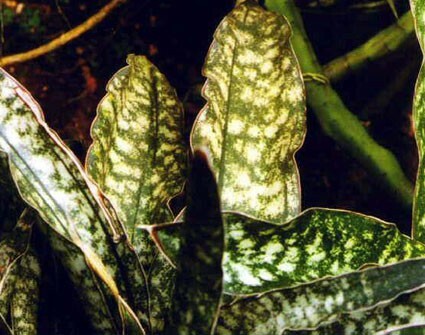 An excellent choice houseplant retaining beautiful coloration in filtered light.